Now i will give you the codes to display the feedback form in popup box on page load. This is one of the important concept to view the particular popup box on page load. In this popup box will set the feedback form or signup form to get the response from the client very easily. You can write the content what you want. You can set the images, contents, forms in the popup box. In this feedback form onpage load will give the popup box on immediately after page load. The popup content or forms will be display here. If client interested to give the feedback they will fill the form. If they will click outside of the popup window the popup box will close automatically. Here is i am using feedback form, When will fill the feedback form, the form information will go to the particular email id. the following php code will useful to send the form information to mail id. 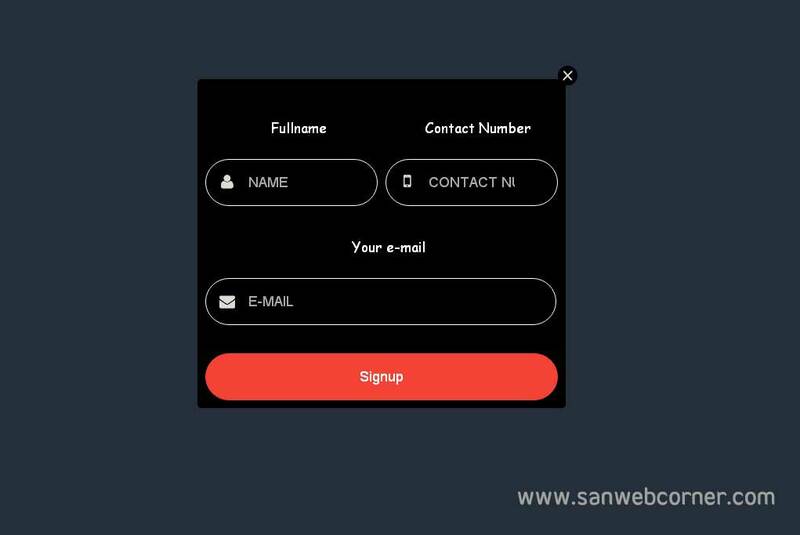 This type of on load popup box really increased the visibility from the customer. So it is very useful to give the important news and feedback and lead generated forms. Most of the website they are using this types of popup boxes to generate the sales. Here is the source code and demo pages. Please check the demo page, then you can able to know how this process is working.